On behalf of the British Racing Drivers’ Club I wish to extend my sincere sympathies to Dan’s wife Susie and their boys Sebastian and Oliver, as well as the rest of his family and his team following the tragic news of his death in a racing accident yesterday at Las Vegas in the final Indy Car Series round of the year. The BRDC is extremely proud of Dan and all that he achieved and was achieving in the United States. He was undoubtedly one of the great talents of his generation as his racing results testified. Two victories in the Indy 500 put him in a very select group of drivers and having won the Rookie of the Year honours in 2003 it was no surprise that he should win the Indy Car Championship in 2005. Dan followed this in 2006 by winning the BRDC Gold Star, beating the likes of Jenson Button, Mark Webber, David Coulthard and Dario Franchitti to this coveted award. Dan was a true professional and a great ambassador for the sport. He was highly focused in the way he approached his racing and a real perfectionist. He pushed himself, and those he worked with, hard to produce results that were worthy of his talents and that fed his insatiable hunger to win. With his film-star good looks and athletic prowess, it was no wonder that the American public took him to their hearts. In the BRDC we will remember Dan as a great racing driver who was very much involved with the Club and our circuit at Silverstone during the formative years of his career. Dan was, for many years, part of the BRDC ‘Rising Stars’ young driver programme. So proud of this recognition was he, that even after qualifying to be a Full Member of the BRDC he chose to remain a Rising Star, as he felt it represented what he was and helped the Indy Car world understand where he was set on going; to the very top. As a young driver Dan was also a finalist in the McLaren Autosport BRDC Young Driver of the Year Award on two occasions, which was proof, if it was needed, that great things lay ahead of him. When Dan did eventually become a Full Member of the BRDC he commented at the time, “To be included in a group of such great names makes me feel very special. I will do everything that I can to represent the BRDC in a way that makes you all very proud”. 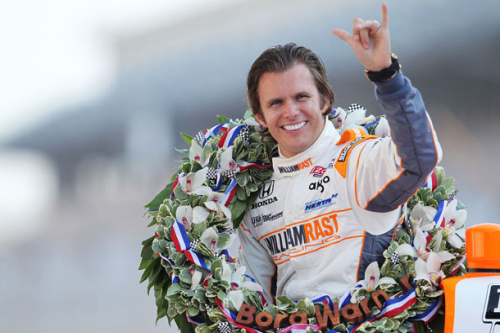 Dan Wheldon was a great ambassador for the BRDC and motor sport generally. He will be hugely missed.